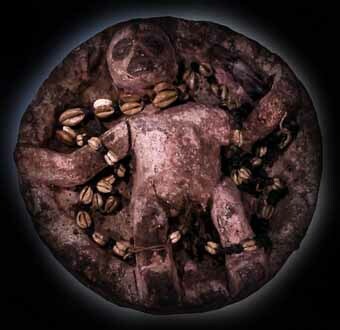 In a nutshell, voodoo is a very complex and controversial religion, with roots deep into Africa. However, whenever you hear the word, voodoo, you think of places like the Caribbean, most especially Haiti, Louisiana in the United States, and Africa. There is a simple explanation for that. Remember the slave trades? Well, you should know that they brought the slaves over from Africa to sell respectively to French, Spaniard colonies established in an island called Hispaniola, to North America mostly in the South, and to some parts of Europe to work on plantations as yard slaves or to maintain the cleanliness of the homes as house slaves. In Hispaniolay, the slaves were quickly pressured to conform to Christianity. Although, their owners, who were primarily French, American and Spanish settlers, forced them to convert and practice Roman Catholicism, they continued secretly to conduct their native ceremonies among themselves. As the years went by, these slaves passed their ceremonial rituals onto their children, and their children's children. It's their legacy, the only thing they could call their own, their culture and religion. As for Louisiana, it was a French territory before being sold to the United States. At that point in time, Haitians migrated and influenced their politics, their culture, their religion, and their people. Voodoo is a big deal for Haitians as some believe that they gained their independence solely because they were guided by the spirit of Erzuli Dantor in Bois Caiman in 1791, in a ceremony where the mambo was possessed by Erzuli's spirit (Erzuli Dantor), and they sacrificed a black pig for her, so she could ensure they go into battle and win. In Africa, well voodoo is still brightly alive in their culture, their art and their people. Overall, Some Haitians and folks from Louisiana are proud to practice voodoo, whereas others deny this religion altogether, since, most see only the bad side of the religion as some Houngans, Bokors, and mambos use black magic for their own personal gain and to abuse others. Nonetheless, they usually get what's coming for them, these characters never end well. Others think that Voodoo is a pagan religion as the followers or practioners cannot speak to God directly, they go through the lwas or loas to get their prayers answered and subsequently, they have to do offerings and sacrifice something for those spirits to finally answer them. As the saying goes: "yo sevi lwa" which means "They are serving the lwas or spirits", as oppose to serving God the mighty one directly! Have you ever seen this movie named "Voodoo" starring Corey Feldman? It is one of the most accurate voodoo movies out there. Deep in the heart of Los Angeles is a secret so sinister and so evil, that those who are witness to it will either lose themselves to its dark grasp, or lose their lives fleeing from it. "The Skeleton Key" starring Kate Hudson in 2005 is also an accurate portrayal of voodoo and hoodoo practices. "Venom" is one of those fast paced voodoo movies. It was a great portrayal of a zombie-possessed maniac whose killing people a la Jason Voorhees'style. A pack of teenagers are running for their lives through the swamps of Louisiana, as they are chased by Mr. Jangles, a man possessed by 13 evil souls who is relentless in his pursuit of new victims. "The Serpent and the Rainbow (1998)"
"The Serpent and the Rainbow" is one of the oldest and most popular Voodoo movies ever made. It was filmed in Haiti (my native Country) in a time where life was much easier for a certain group of people. Dennis Allan is a scientist who visits Haiti on the wake of rumors of a drug which renders the recipient totally paralyzed but conscious. The drug's effects often fool doctors, who declare the victims dead. Could this be the origin of the "zombie" legend? What is the creole pig, and what is its importance in the Haitian Revolution? What is the difference between Haitian Vodou, Lousiana Voodoo, and West African Vodun? Ogou, Azaka, Ghede, Papa Legba, Ezili, Dambala are all what? From our horror fans, their answers, what's yours?! Are zombies considered dead or living dead? Why? : Zombies are considered living dead because they are technically brain dead, their brain activity is dormant but if they drink a reverse portion which is a potent chemical their state should be reinstated. But it is believed that once you drink a portion brewed by a mambo or bokor, you are their own puppet, you cannot be revived unless they choose to. What's the difference between white magic and black magic? : White magic is about good spells, doing good to others, to prevent ones from suffering from bad spells, it's mostly good magic to help others whereas black magic to inflict pain, sufferings, and gain materialistic possessions. What is a Hounfour? : A voodoo temple is called a Hounfour. The Voodoo priest is called a Houngan and the priestest is called a mambo. Who is "Ezili Dantor"? : She is the Lwa of motherhood or single motherhood in voodoo beliefs. She is usually represented by the image of Black Madonna of Częstochowa which was brought by Polish soldiers fighting on both sides, in 1802 during the Haitian Revolution. Ezili or Erzuli is a fierced protector of women and children. She never gets what her heart mostly desires as a result when a servant is possessed by her spirit, she always leaves them sad and tearful. She is believed to carry a baby in one hand and a knife in the other, she is a warrior. She relates to homosexual men and women. What is the creole pig, and what is its importance in the Haitian Revolution? : The creole pig was used as a type of savings account in Haiti, you pay for debts, ceremonies etc...with the creole pig. It's a black pig that was very adapted to the climate and Haitian environment. Haitians believe that by sacrificing the creole pig in the Bois-Caiman ceremony, they were able to win their first battle against the occupation and to finally becoming the first Independent Country in the Western Hemisphere. What is the difference between Haitian Vodou, Lousiana Voodoo, and West African Vodun? : They all originated from the traditions of the African Diaspora with the exception of Gris-gris from the Hoodoo religion. Ogou, Azaka, Ghede, Papa Legba, Ezili, Dambala are all what? : They are all families of lwa, mostly all petro lwas. What is a Bokor? : A Bokor is a houngan or sorcerer who is known to be practicing both benevolent magic known as white magic or dark magic known as black black magic where they can create zombies to purely serve them or others or create talismans that house other spirits.